Hope you all are doing good, lately I have been feeling quite unwell..waiting to get well soon. 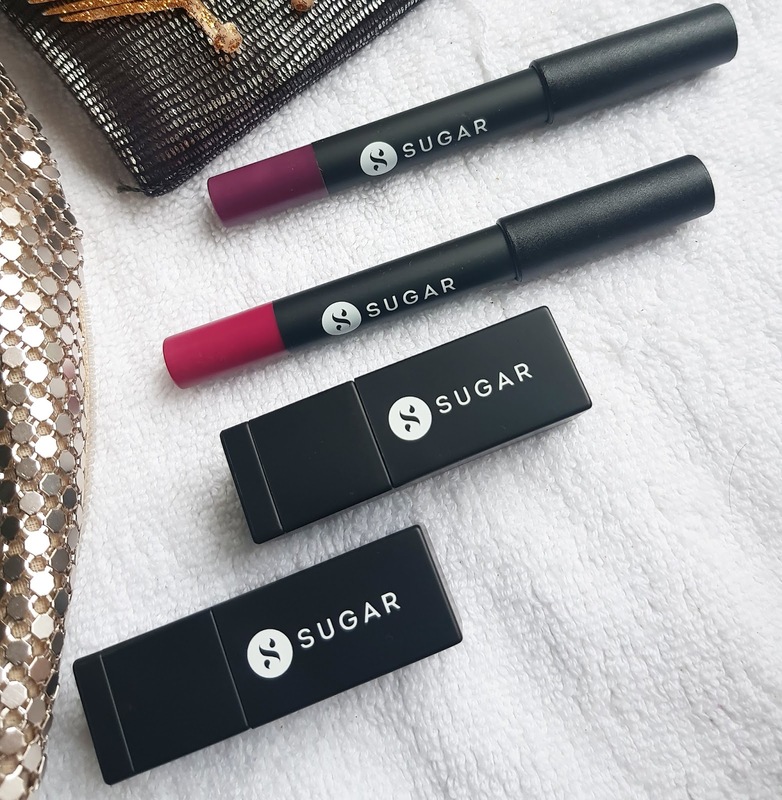 However today I will be reviewing New Plush Hour Matte lipstick from SUGAR COSMETICS also I will be talking about 2 NEW shades from Matte as hell lip crayon range. There are only few limited shades available in PLUSH HOUR MATTE range they come in usual black square tube packaging. The shades I got are Minnie mauve, and Little Bo Peach. 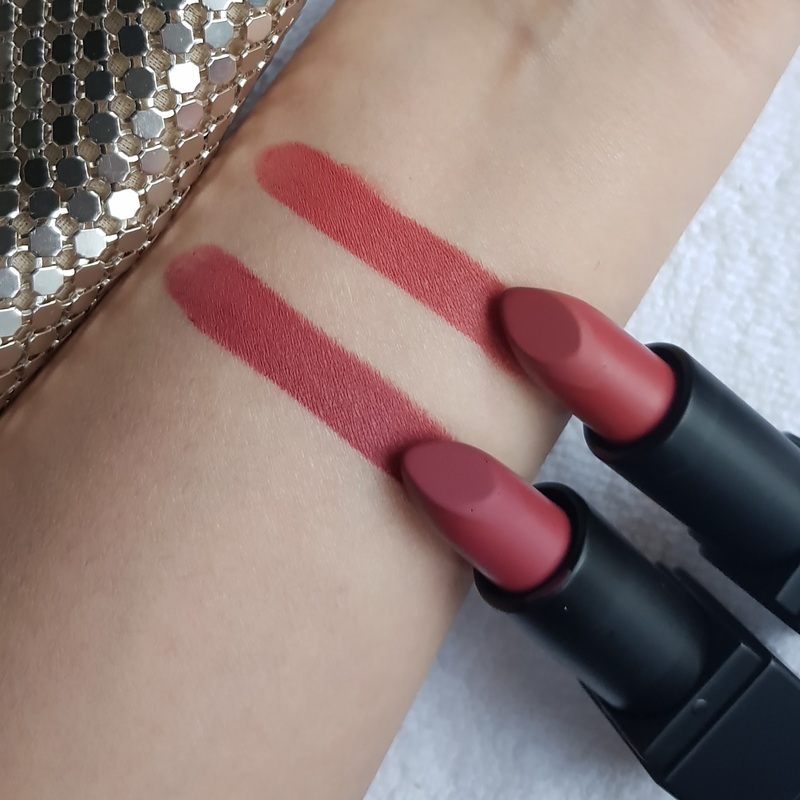 The shade name is written on the cap and once you remove you have to be careful if you exchange it with other lipstick you wont come to know the actual shade of lipstick. 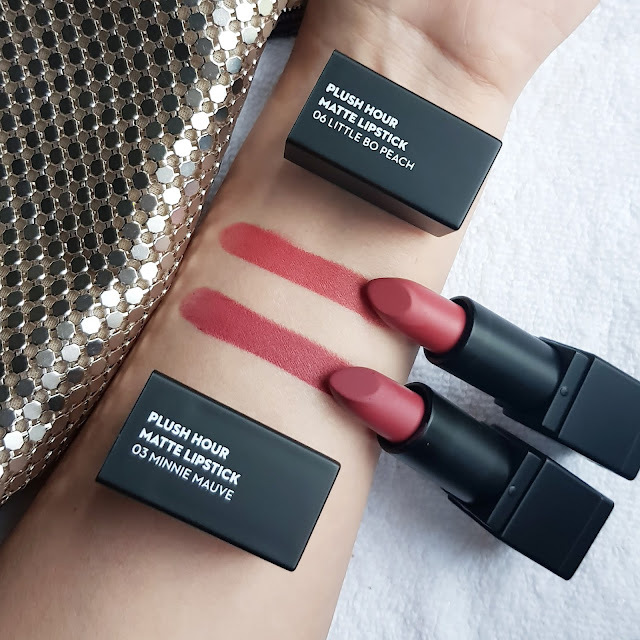 Both the shades are well suitable for light to medium skin tones. Even darker skin tones can try this shades. Little Bo Peach is warm mid tone peach shade which looks bit darker on fair skin tone. Minnie mauve is beautiful mauve shade again a bit darker than what I thought. 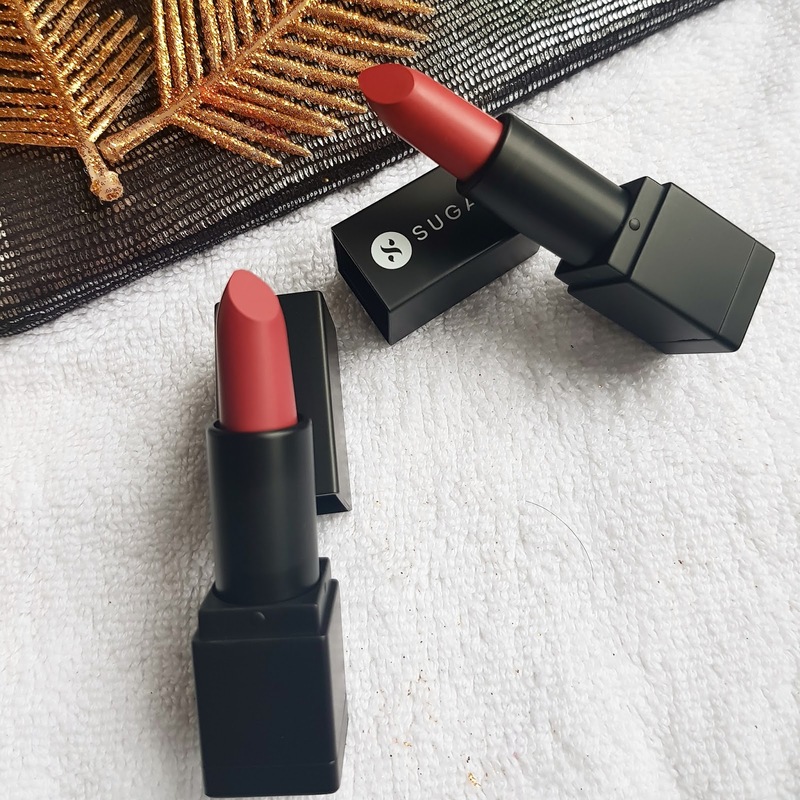 The texture of these lipstick is smooth but the formula is drying. I would recommend to use lipbalm if you have dry lips. The formula is not so soft or creamy and may need some effort for application. You may have to put some pressure for even application. They are highly pigmented and give excellent color pay off. It gives powdery matte finish and feels feather light on lips. They are long wearing and quite comfortable on lips. If your lips are not well hydrated and moisturized the formula may start flaking off. Due to high intensity pigmentation it doesn’t accentuate fine lines and gives complete opacity with 1-2 swipes. It doesn’t contain any fragrance. The formula lacks moisturizing properties where it could be little hydrating. 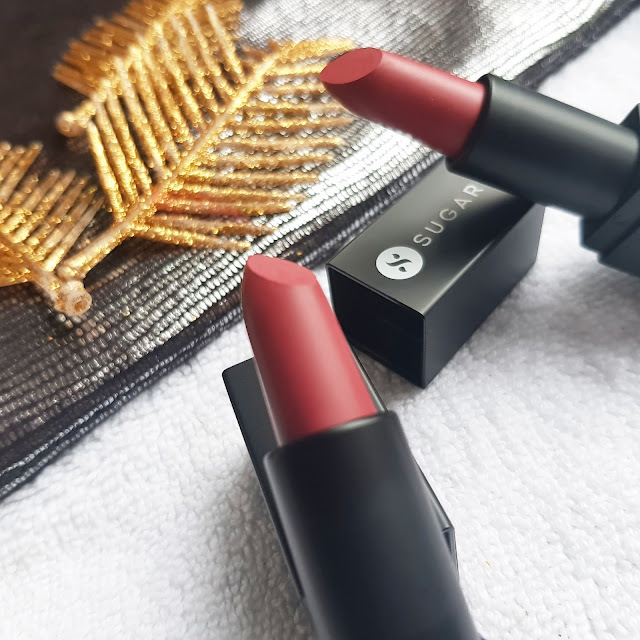 There is no bleeding or smudging of lipstick it doesn’t fade away. Stays pretty well for 6-7 hrs. 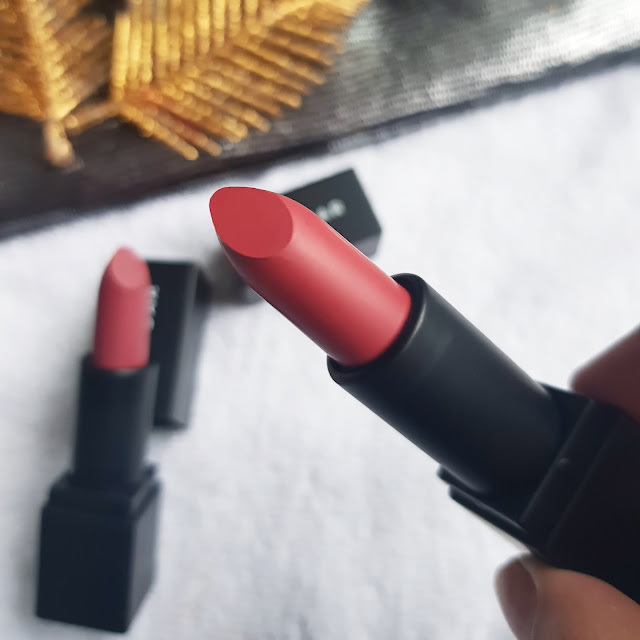 As its complete matte finish it doesn’t transfer and gives a waterproof look. 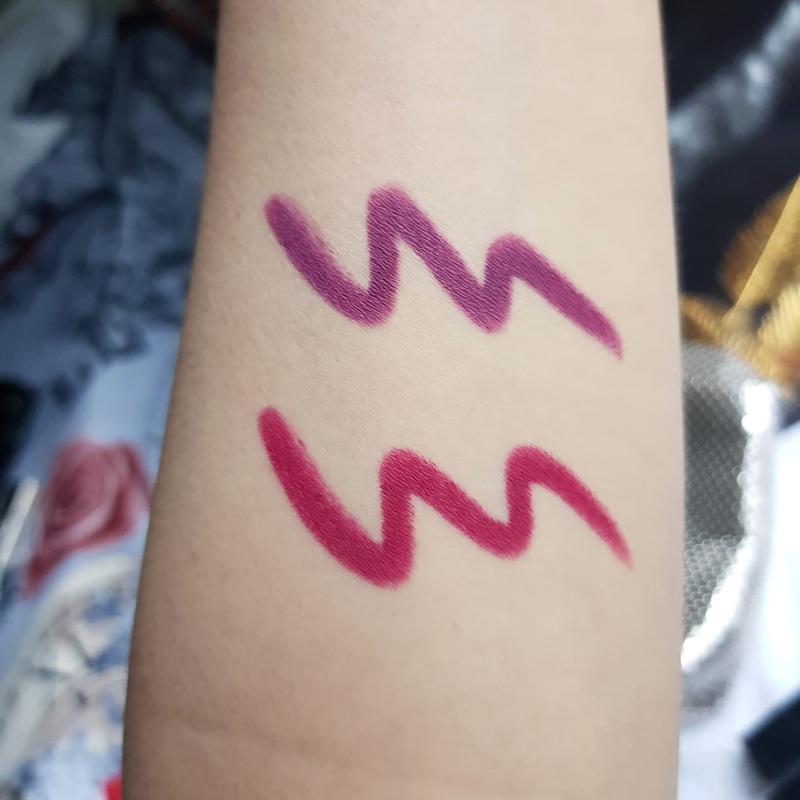 Coming to matte as hell lip crayon I have already reviewed most of shades on my pervious post. Violet crawley if you love purple like I do it’s a deep Smokey violet shade which looks best for having mysterious vampy look. 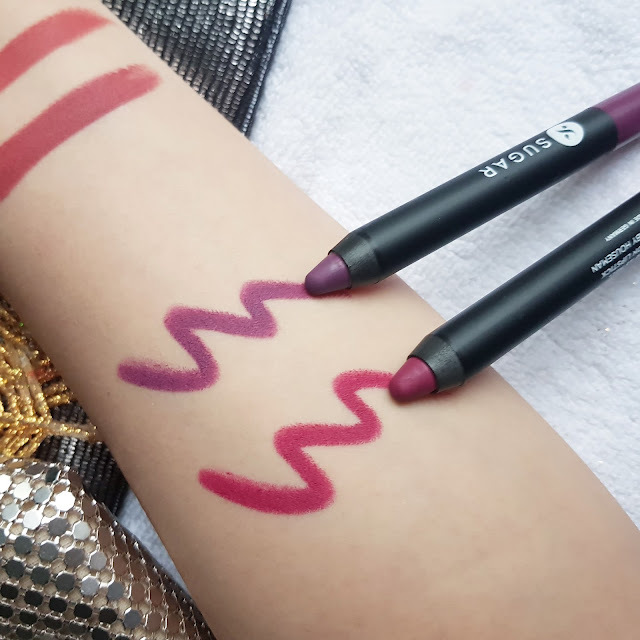 Baby housemen is a deep magenta pink perfect for evenings. 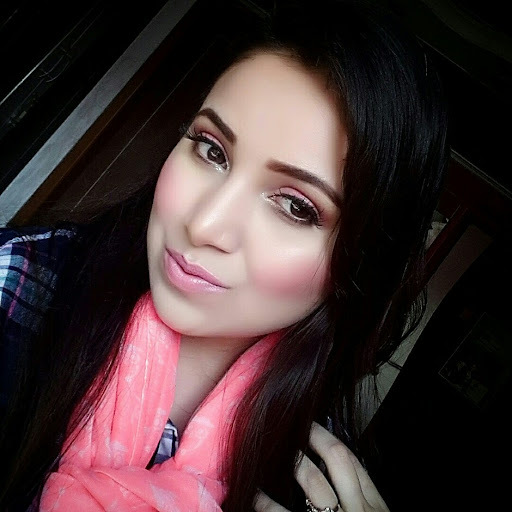 You can always add some shimmer on lips to give you a ramp look. 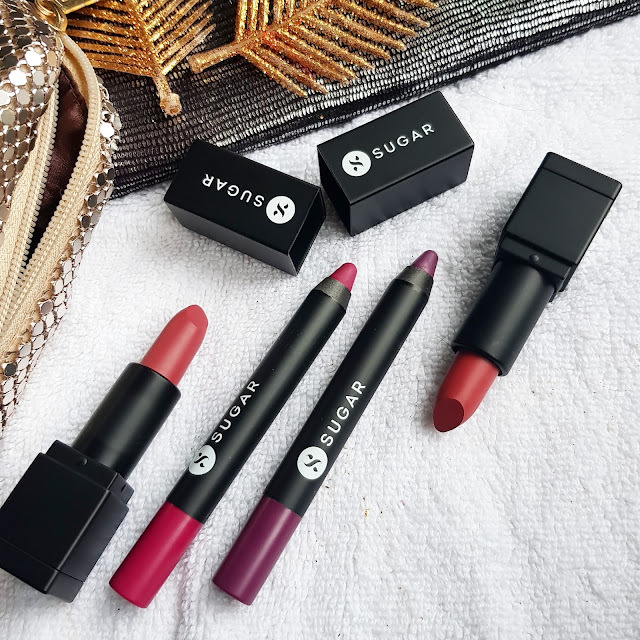 Overall these lipsticks are super highly pigmented and I loved its smashing matte finish. The only downside it lacks the moisturizing properties also they could be having a shade name on bottom of tube to avoid confusion. Just having two lipsticks still it was task as I had already misplaced the caps. Well inspite of the matte formula it didn’t settle into fine lines. The application could be effortless but overall I am happy when I apply them on well hydrated lips.The shades go well on every Indian skin tone. 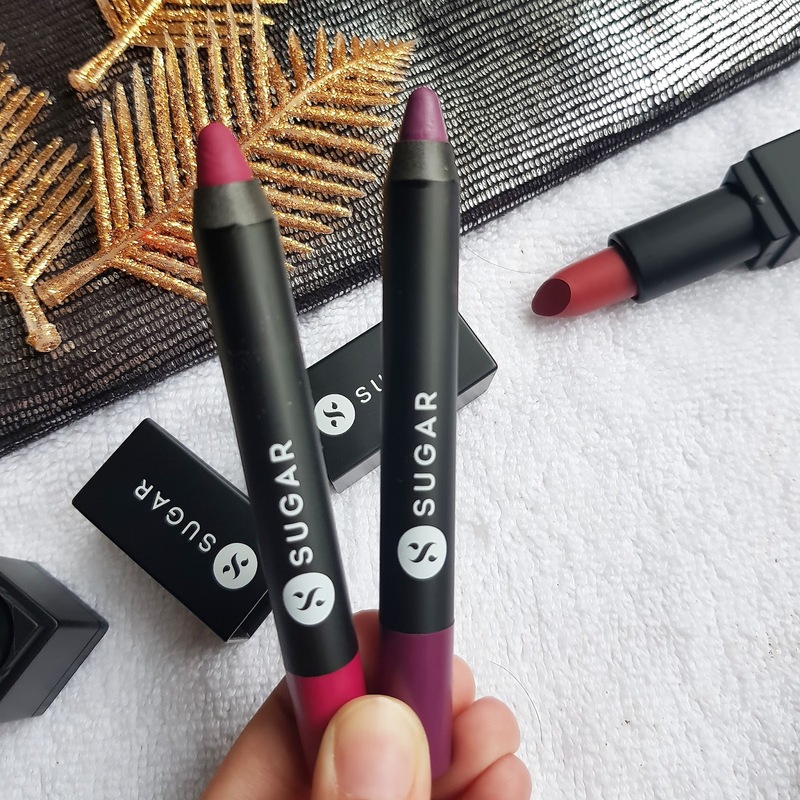 If you love mattes these are really worth trying out. Rizdi, I'm totally impressed by your commitment. 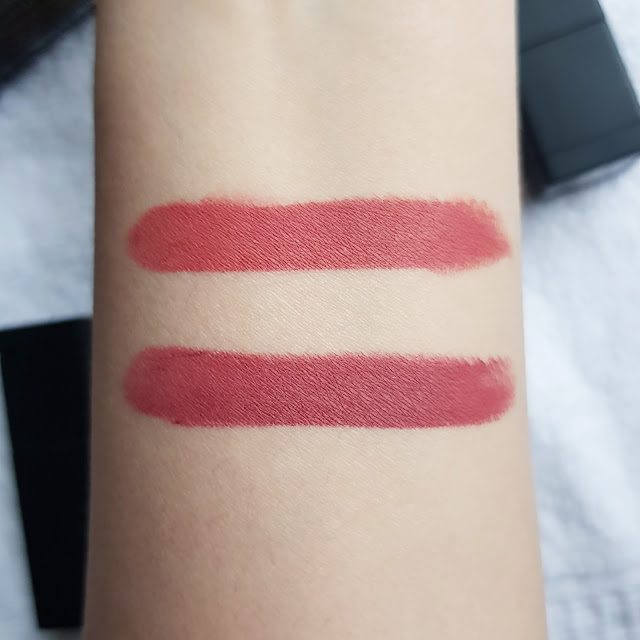 The swatches are so clear, I had no trouble making up my mind on which lipsticks to buy. Good lighting, excellent camera....Thanks a lot lot lot.